Thika Water and Sewerage Company Ltd (THIWASCO) evolved from a water project (Thika Water project) to a public limited company. The project was initiated in 1950 at Chania River and commissioned in 1956. Prior to incorporation of THIWASCO, the project operated as a water department under the Thika Municipal Council. 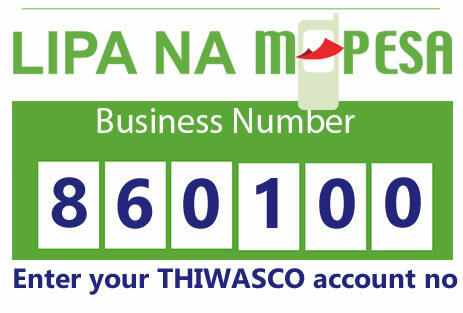 THIWASCO was incorporated in July 2009 and began operations in September 2009 as a water service provider under the Athi Water Services Board. The major sources of water for the company are the Chania and Thika Rivers. The water supply to the company’s treatment plant is obtained from Chania and Thika rivers through gravity into screen chambers and then pumped into the treatment plant. The company serves the Thika Sub-County and its environs which cover an area of approximately 254 km. The company currently has approximately 32,000 water connections and 12,000 sewerage connections.